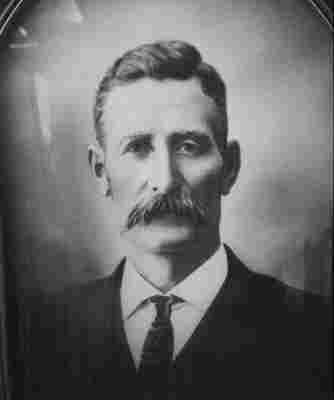 My great grandfather, Edward Hayden SMITH, was a Policeman in the southern part of New South Wales. He worked in Albury, Corowa, Jugiong and Gundagai between 1874 & at least 1887. He was born in Thurles (or Tubbrid), County Tipperary, Ireland in 1840, worked as a Farm Labourer there, and arrived in Sydney on the "Forest Monarch" in December, 1858, aged 18 years. It is presumed that he left Ireland due to the potato famine of previous years as well as the possible lure of gold discoveries in Australia, although he does not seem to have gone to the goldfields. Maybe, he came to Australia because of perceived greater opportunities. He was the son of William John SMITH and his wife Susan (?). It is understood that William John was a Policeman in Ireland. Edward Hayden was a Farm Labourer in Thurles and apparently had an uncle, John SMITH, who lived at Albury, NSW at the time of his departure from Ireland as he appears to have sponsored him. As a policeman, Edward Hayden SMITH was involved in hunting Ned Kelly, the famous bushranger, in 1878 period. I am aware of one incident when he persued Ned Kelly. It was in October 1878, when he was involved in a party which raided Baumgartner’s farm near Bungowannah punt. The police closed in but the Kellys were not there. ( This incident is recorded in the book "Flow Gently Past" by Brian Burton - see page 110 - a story about Corowa district). I also remember my grand-father telling me such a story about his father, when I was a boy. Edward Hayden SMITH retired to Wollongong, NSW, where he died in 1920 at age 79 years.